Seeking an expert criminal defense attorney who offers a great track record with superior results? Then look no further than the boutique law firm of William D. Kickham and Associates. Our firm is small enough to offer enormous personal attention, and big enough to get the great results that our clients expect. Do you really want to settle for using a Big Box law firm – the ‘Costco or K-Mart of criminal defense’? Unlike them, we are available 24/7. Unlike them, you’re not one file amidst thousands of others. And unlike them, we even make house calls. 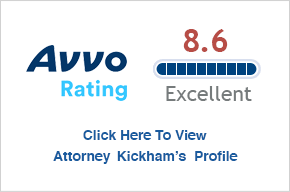 Here is some biographical background highlighting specific advantages that set Attorney Kickham apart from other Massachusetts criminal defense lawyers. Experience and Expertise. 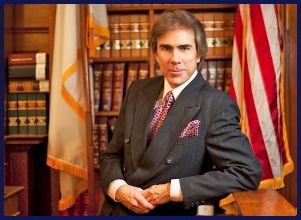 Attorney Kickham has been a criminal defense attorney in Massachusetts for more than 25 years. Since 1988 he has been a member of the Federal and Massachusetts Bars. Prior to going into private practice, Attorney Kickham, in the 1980s, was Public Affairs Counsel for the Massachusetts Academy of Trial Attorneys (MATA), which is the Massachusetts affiliate of the American Association for Justice. Serving as the association’s media spokesperson, Attorney Kickham frequently made appearances on local and national television, newspaper, magazines, and on radio. In his position at the Massachusetts Academy of Trial Attorneys, Attorney Kickham also managed media and government relations on practice areas involving tort law, personal injury law and civil justice. He even testified on a regular basis before the Massachusetts legislature, and before members of Congress, in matters that involved civil justice and tort reform issues. Superior Legal Advocacy Skills. Attorney Kickham is so talented and experienced in communicating complex legal issues, that from 1995 to 2004 he hosted and executive-produced his own television program, At The Bar, in the south suburban Boston cable market. At The Bar was a popular public affairs talk show, which examined legal issues and cases of public interest, from high-profile national media cases to regional cases in New England. Show guests included members of the Massachusetts Legislature, the Attorney General of Massachusetts, legal celebrities and journalists. Attorney Kickham’s communications skills give him a distinct advantage over other firms, when it’s necessary to position his clients before the media, whether by limiting public exposure, or maximizing discussion of his clients’ cases, to achieve the most benefit. Today, Attorney Kickham is frequently sought out by the media, to offer legal commentary and analysis of high-profile cases. In this capacity he has appeared on a wide range of TV shows including FOX TV, Court TV, HLN’s In Session, and Greater Boston with Emily Rooney, on the radio with WBZ-AM Boston, and in print media such as The Boston Herald and the Metro Newspaper. Technical Liability Expertise. In the 1990s, Attorney Kickham served as the Regional Director for News and Information for the Insurance Information Institute, a major national property/casualty insurance trade association. As the association’s spokesperson, Attorney Kickham regularly made appearances on talk shows, consumer forums and in the media on liability issues. Attorney Kickham is expert at taking very complicated insurance and legal issues, and making them clearly understandable to the general public. Attorney Kickham, at age 22, was a recipient of Outstanding Young Men in America, and is a member of Who’s Who. He resides with his wife, Debbi, in Westwood, Mass. Board of Directors, Westwood Community Access Television Corporation, Inc. In his free time, Attorney Kickham studies and practices the Russian martial arts known as Combat Sambo, and travels the world with his wife, Debbi.